Seema Seal, aged 49, is a mother of two young adult daughters and is a doting wife to a Marine Maestro. She has a Bachelor’s Degree in Sociology and an advanced Diploma in International Travel and Tourism along with a Diploma in Personality Development from the Zeal Academy in India. She moved to Singapore from Mumbai in 2014. She is a trained Indian Classical and Folk dancer and is the winner of the Singapore Spotlight 2016 edition of the Indian Dance Show, Jhalak Dikhhla Jaa telecast on Colours TV channel. In the last 4 plus years in Singapore, she has performed numerous solo dances at various Community Centres and has also performed at Singapore's National day 2016 celebrations at the Queenstown Community Centre. 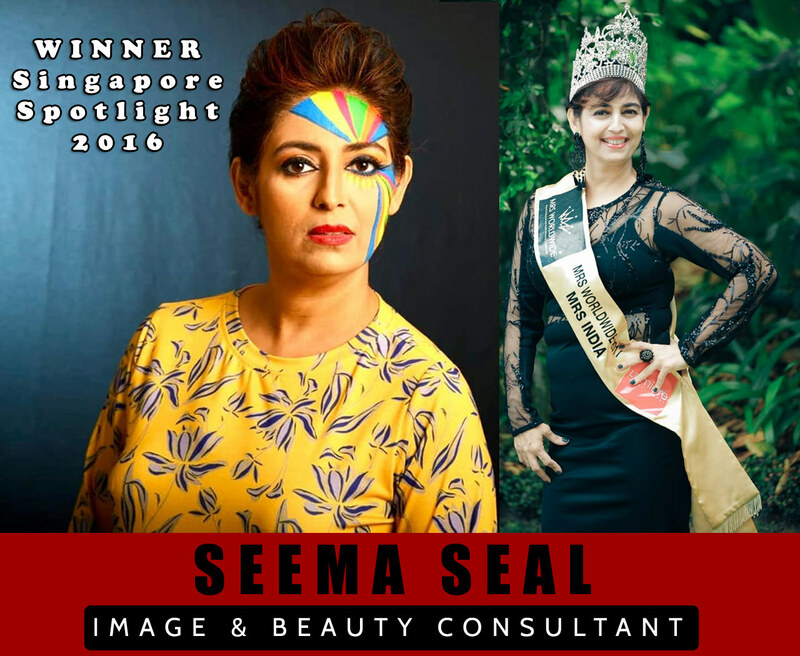 Seema represented India in the 2017 edition of Mrs Worldwide International Beauty Pageant held in Singapore and was one of the 27 finalists. She is on the panel of judges for Lumiere International and Allure Fashion Tours in Singapore and is an Image and Beauty Consultant.